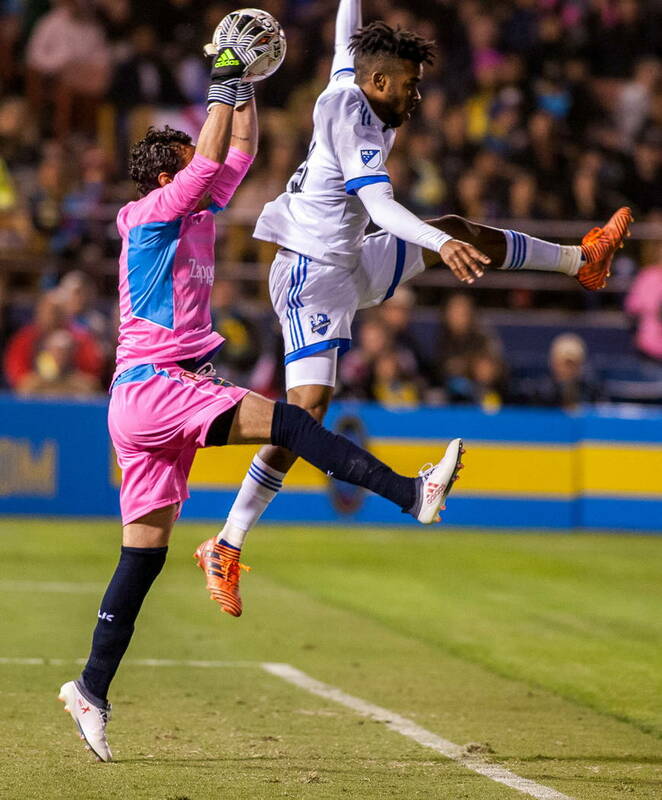 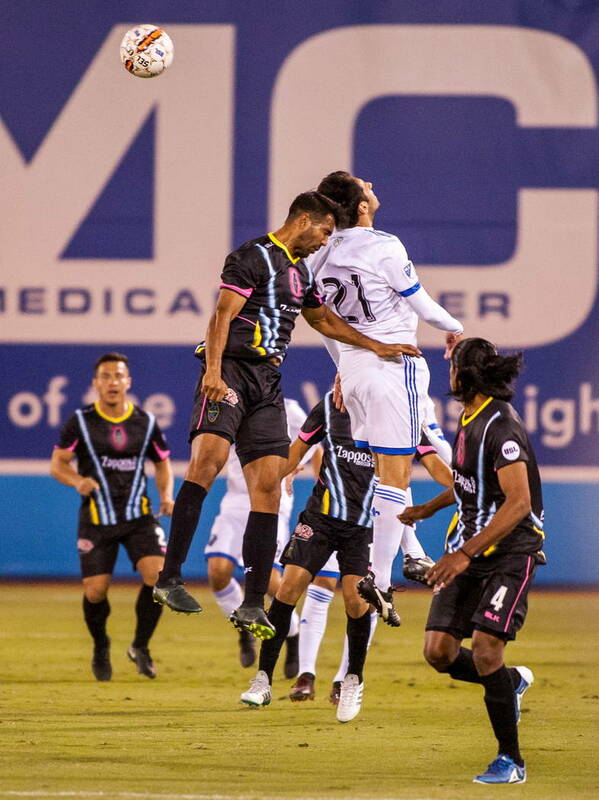 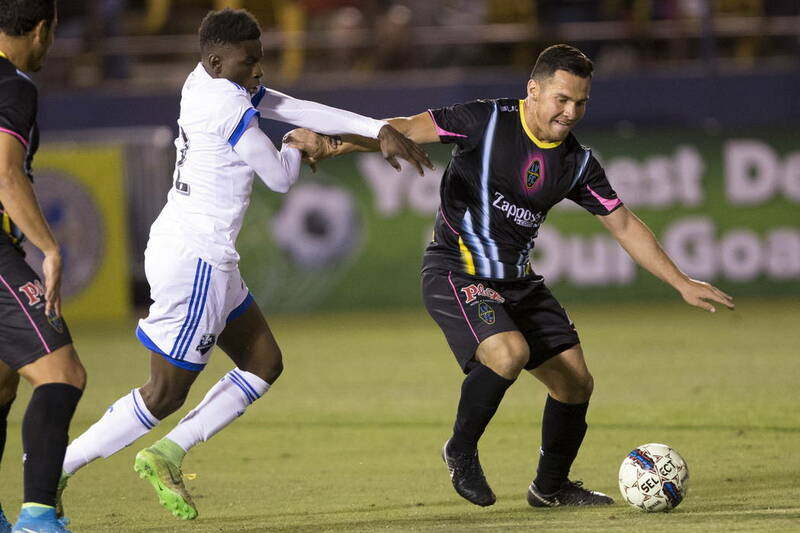 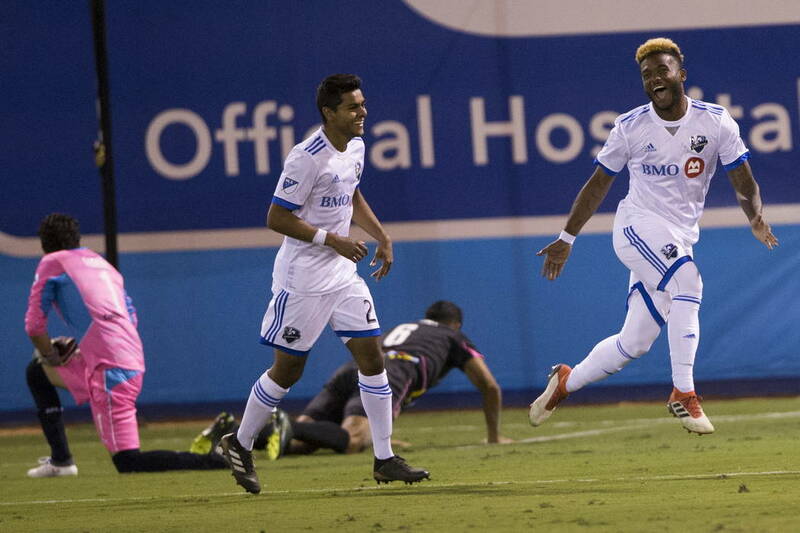 Major League Soccer’s Montreal Impact beat the Lights 2-0 at Cashman Field on Saturday in front of a crowd of 10,387. 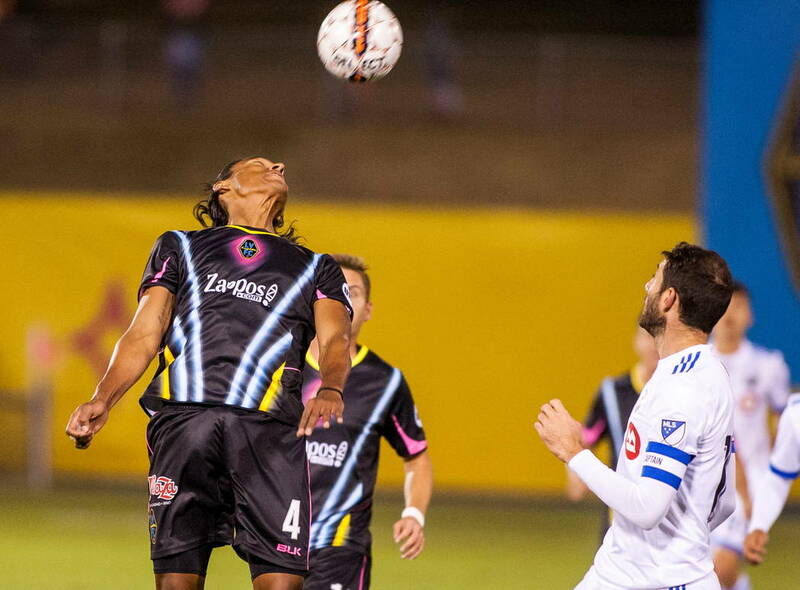 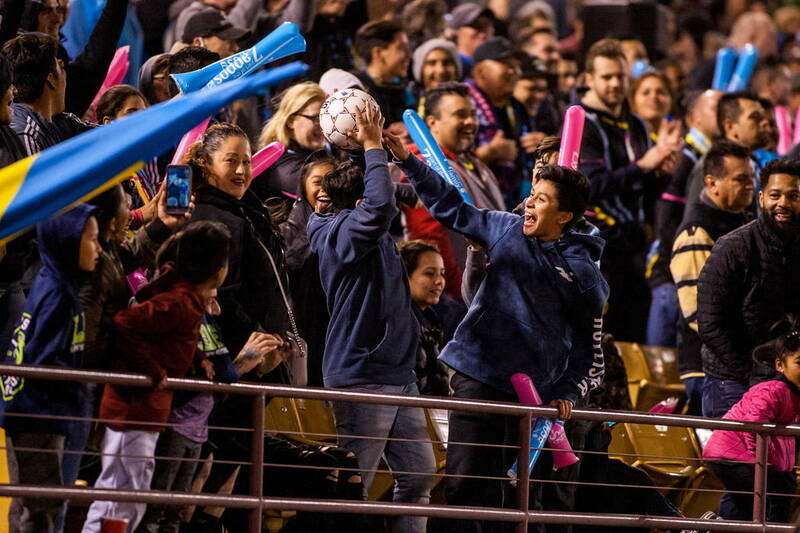 The Lights FC preseason debut was nearly flawless except for the outcome. 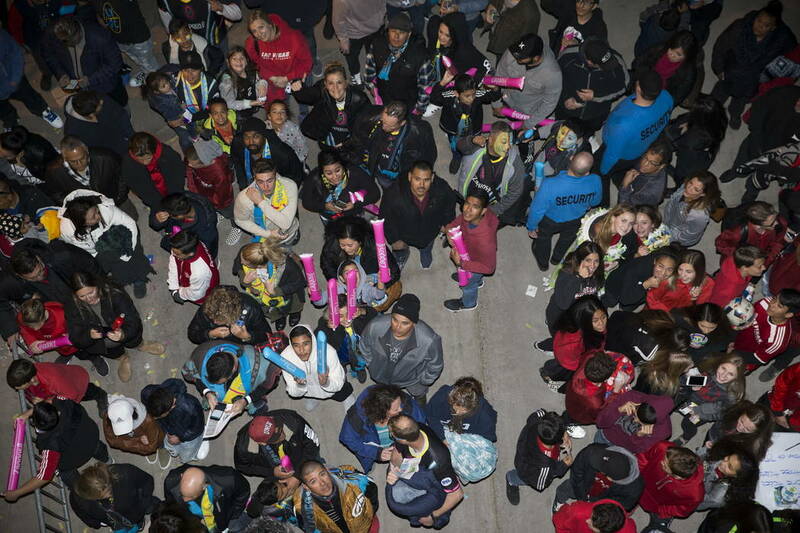 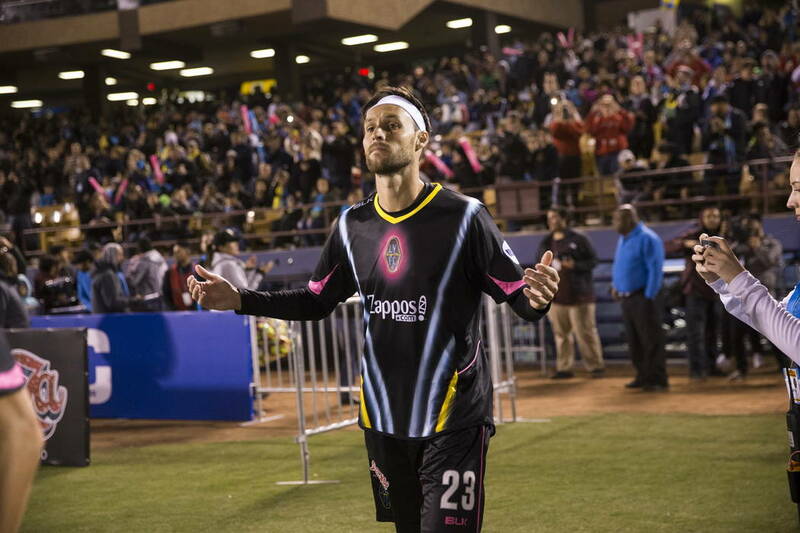 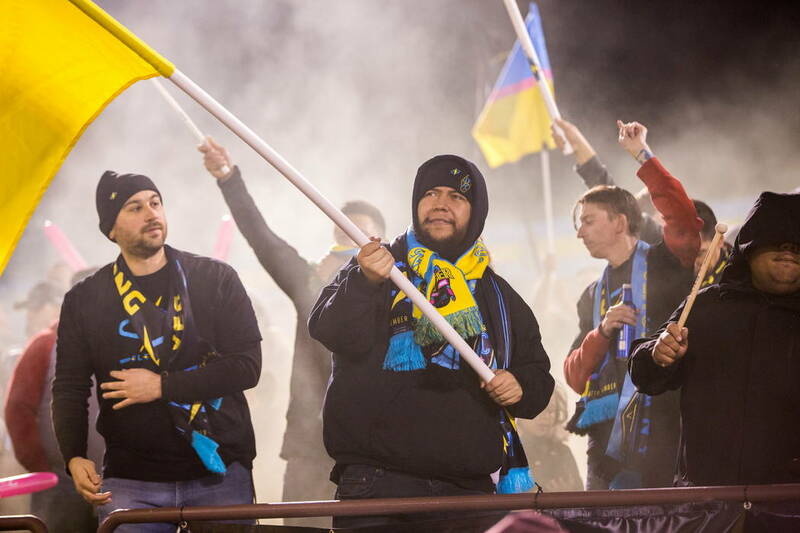 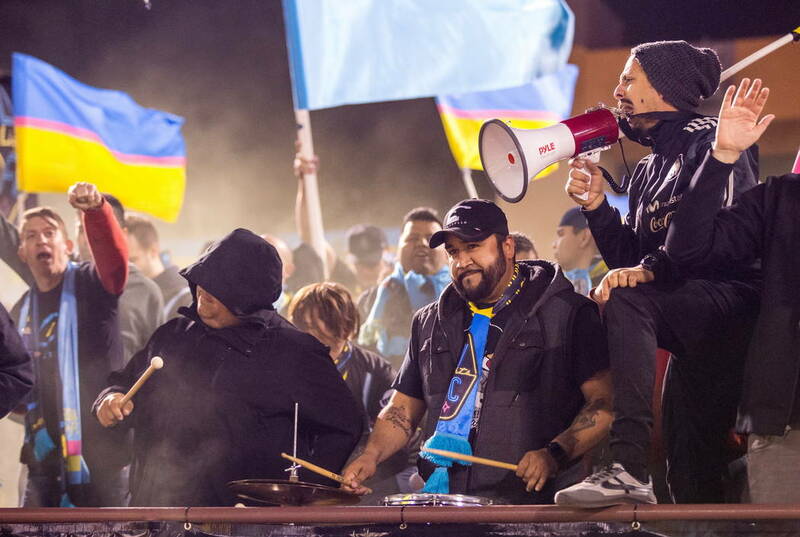 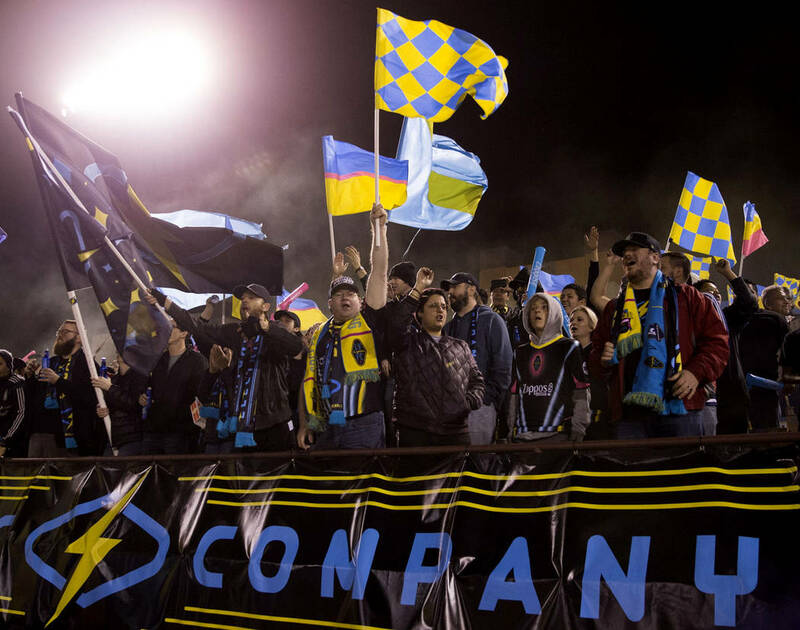 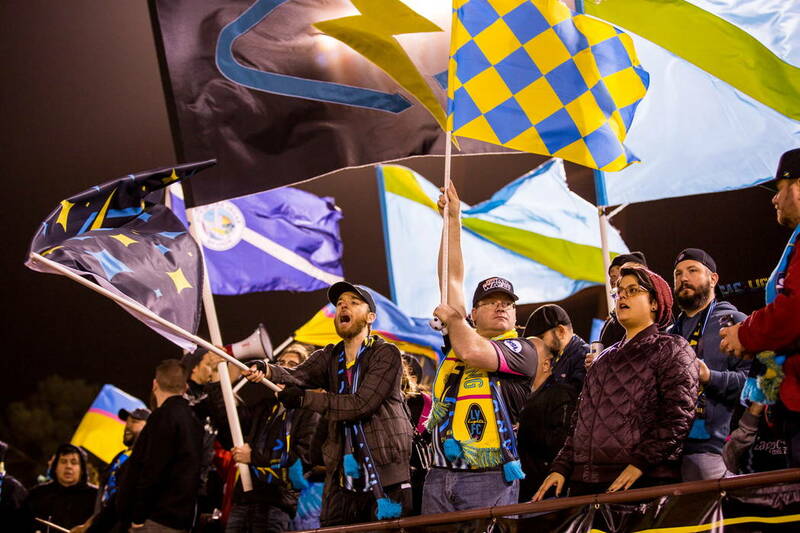 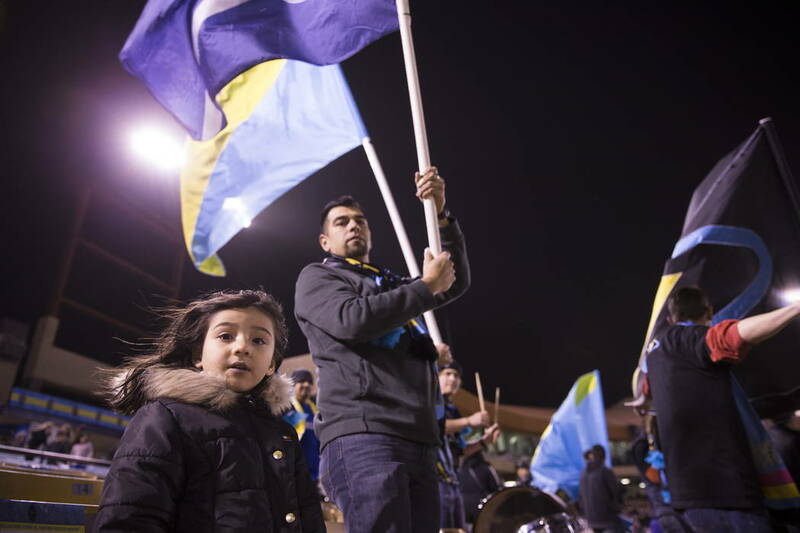 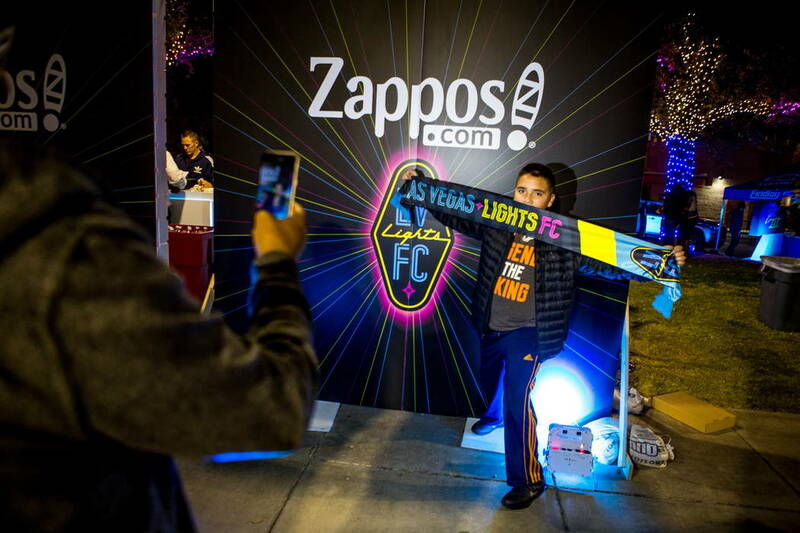 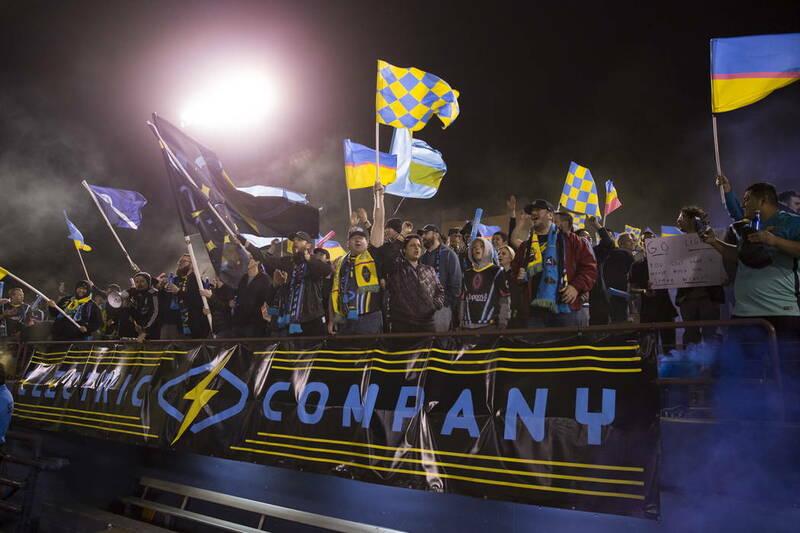 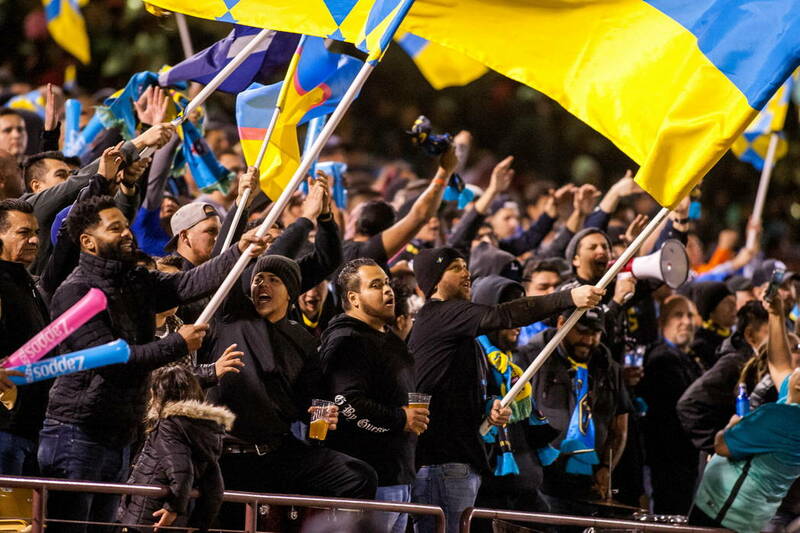 The United Soccer League club brought out fans early for its pregame tailgate party, had a sellout crowd of 10,387 at its first match at Cashman Field and got its supporters’ section chanting early and often throughout the game. 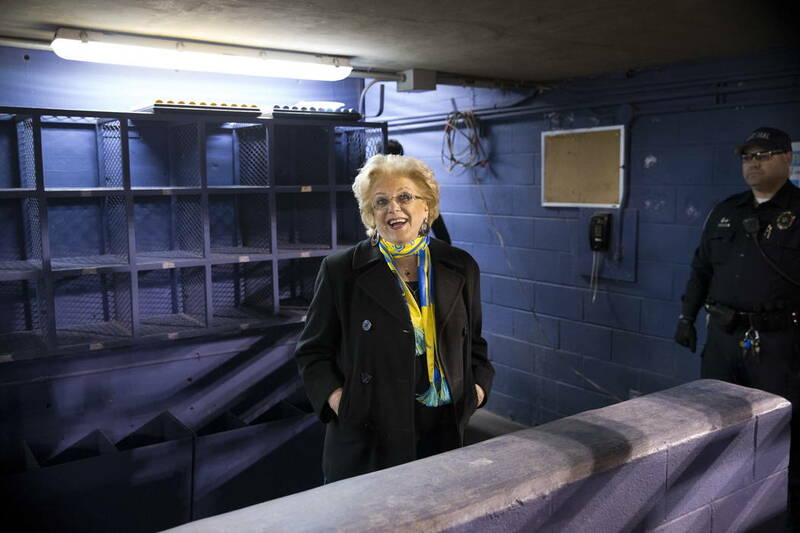 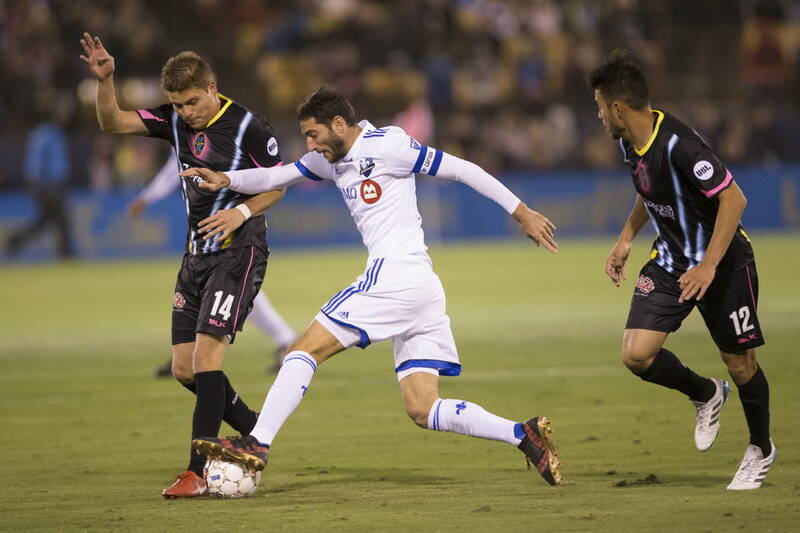 The team ended up selling standing-room only tickets and delayed kickoff to get its big crowd into its stadium, but once the match started Major League Soccer’s Montreal Impact proved to be the better side. 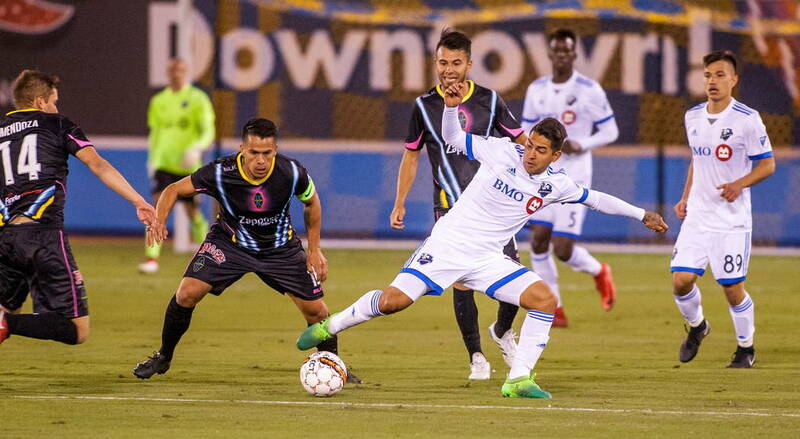 The Impact scored in the 64th and 66th minute to win 2-0, even though their starting group failed to score against the Lights. 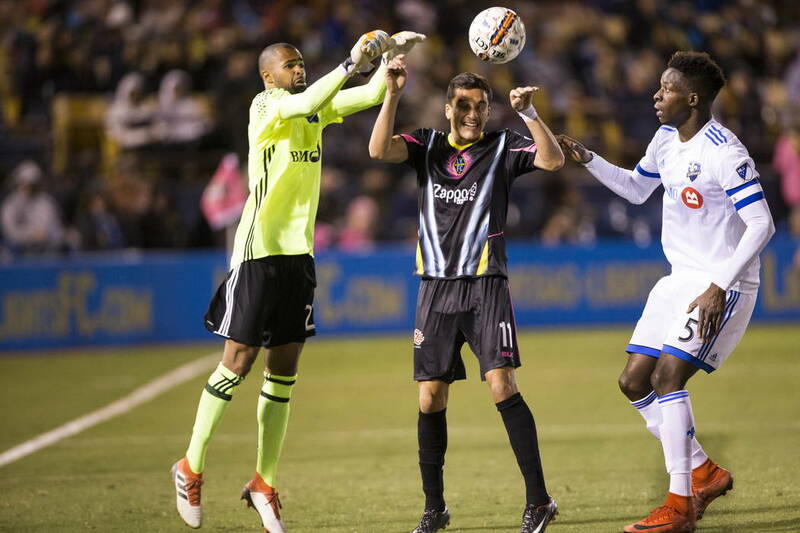 Goalkeeper Ricardo Ferrino kept Montreal out of the net even though the MLS controlled possession in the first half, but his mistakes in the second half ultimately led to the loss. 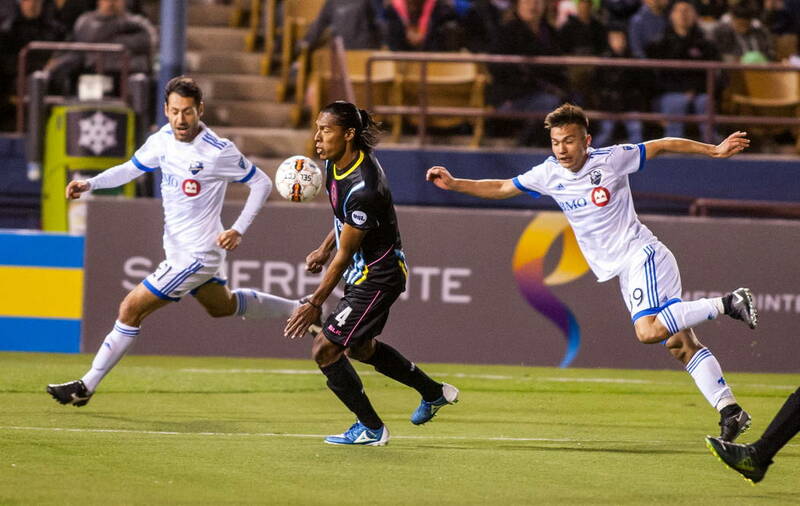 The Lights offense managed to match the Impact in shots with six, though none of the former’s were on goal. 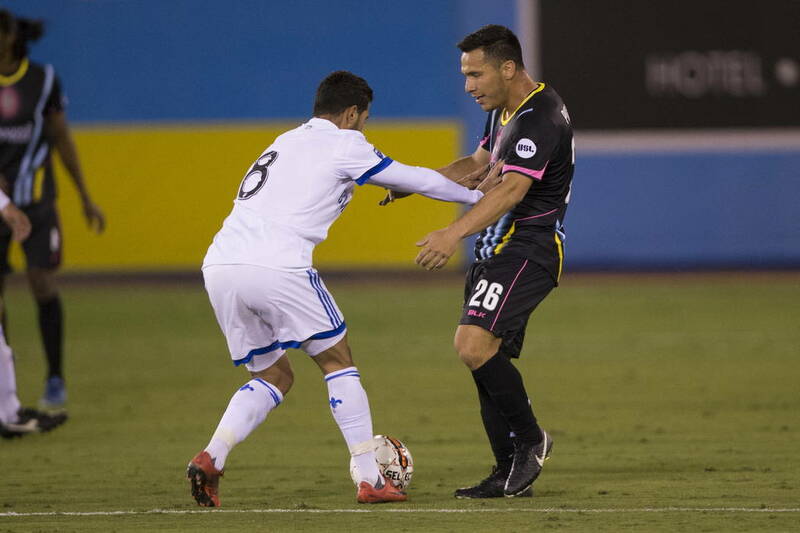 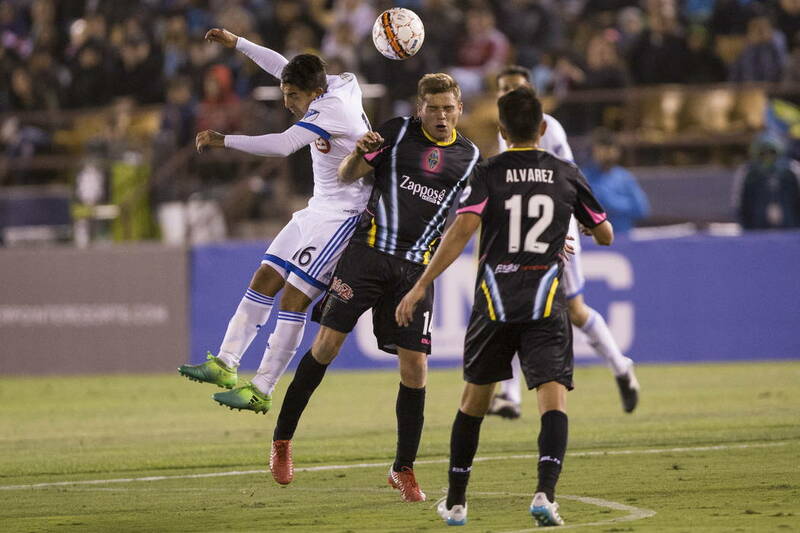 Coach Jose Luis Sanchez Sola said the team was just a little off in the final third, something the Lights can work on before they return to Cashman Field to play another MLS team, the Vancouver Whitecaps, on Saturday. 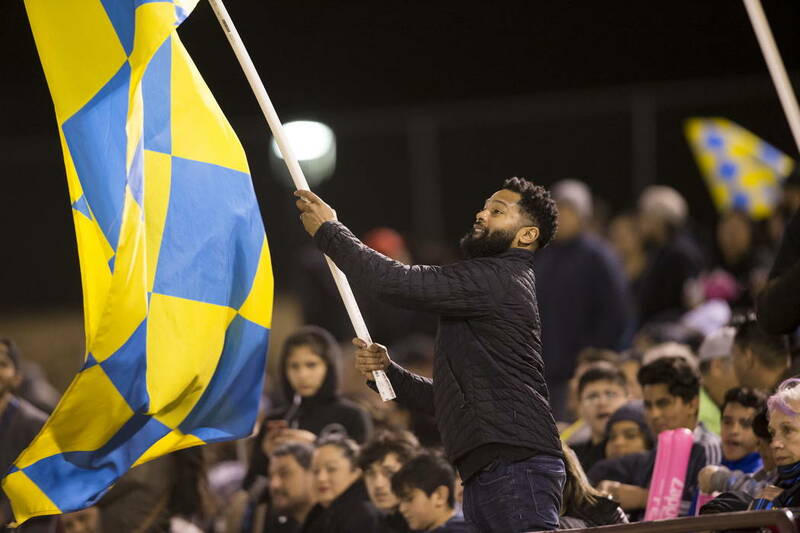 “I want all the fans to give us a (another) chance next Saturday,” Sola, who played 17 of the 27 members of the team’s preseason roster, said. 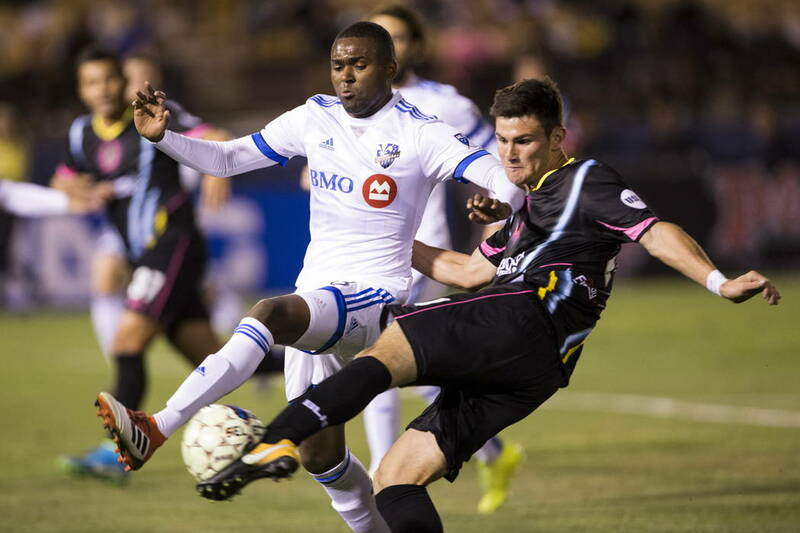 Both Impact goals were earned, even though nine of Montreal’s 11 starters were subbed out before it scored. 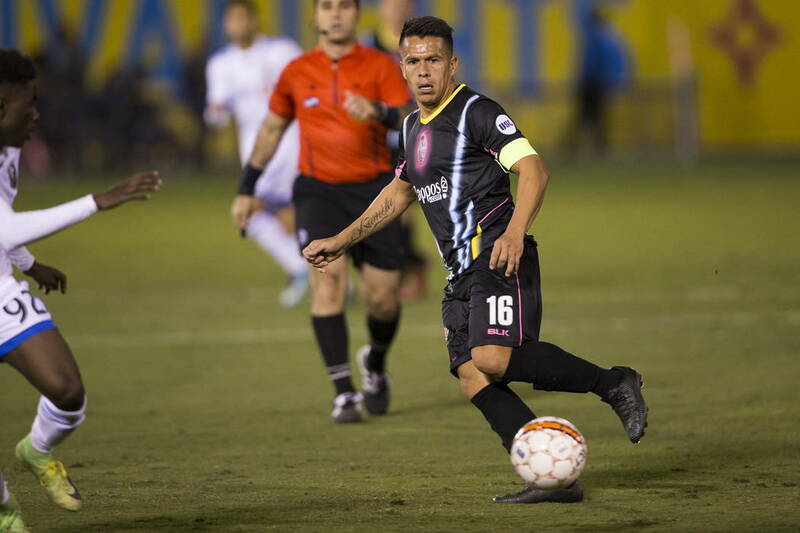 One minute after the team took out seven starters, forward Michael Salazar was able to get around Ferrino, who came way out of the box, and score the game’s first goal. 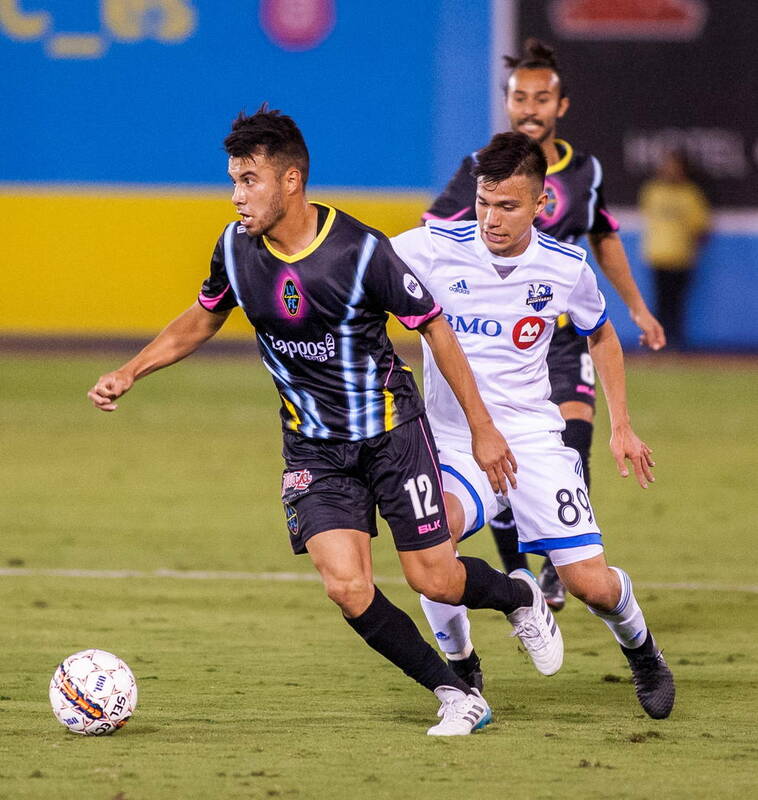 Two minutes later, the Impact brought pressure again, and the Lights recorded an own goal when Ferrino bounced a ball off a defender and into the net. 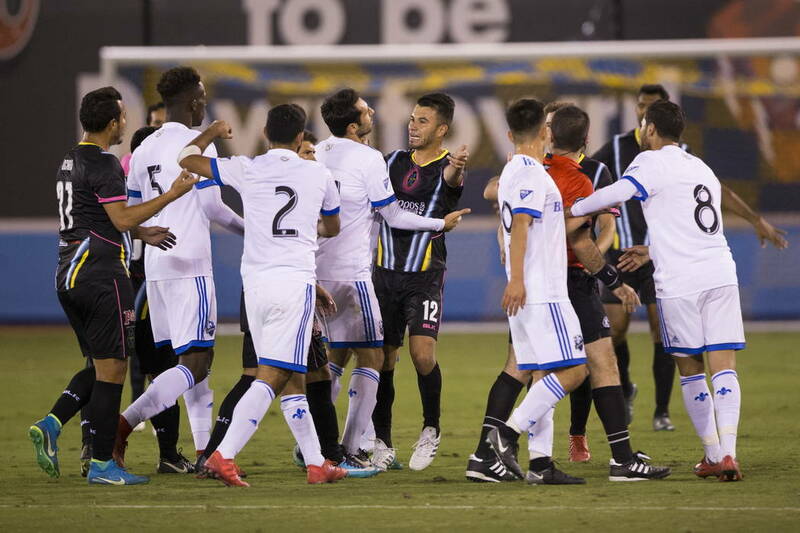 The goalkeeper’s night ended in the 68th minute when he attempted to dribble around an attacker, lost the ball and took down the attacker to avoid giving up an easy goal. 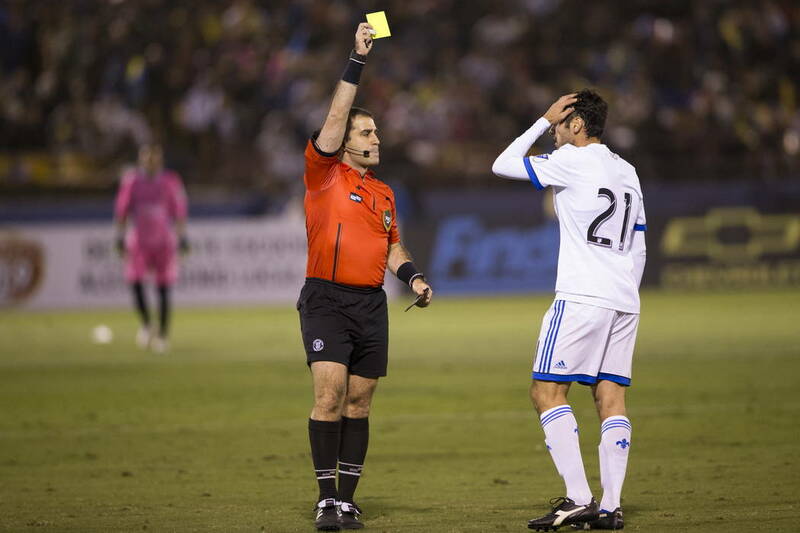 Ferrino was given a red card, ejected from the game, and Rancho high school alumnus Angel Alvarez replaced him. 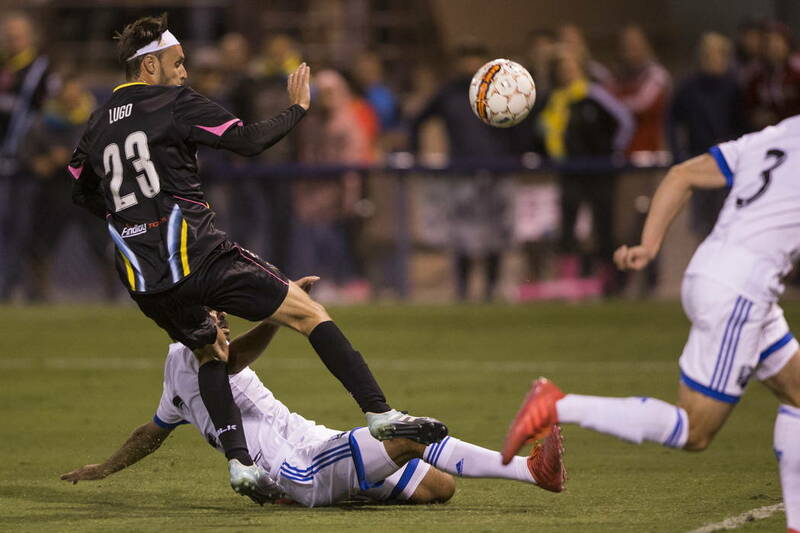 The mistakes came after Ferrino dazzled the crowd in the first half, leaping out of the box in the 17th minute to make a save with his head. 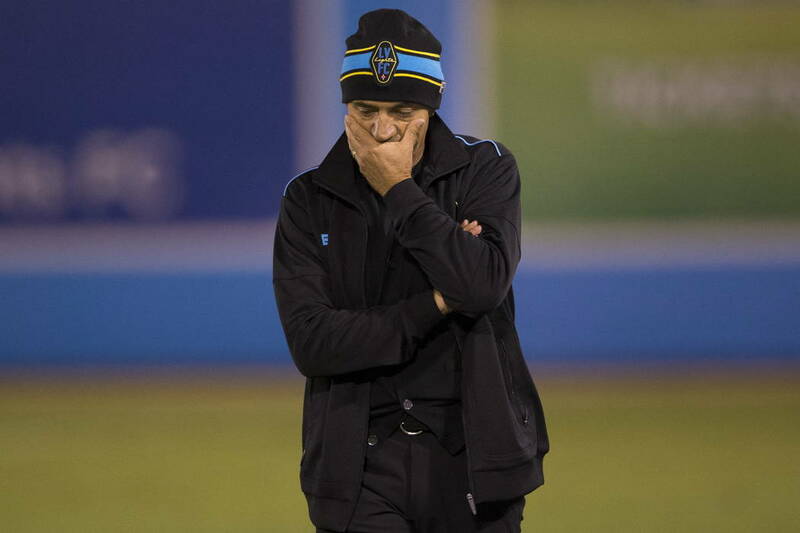 He also turned around to apologize to the crowd after firing a poor kick four minutes later, and gave a finger wag to an opponent after making a save in the 23rd minute. 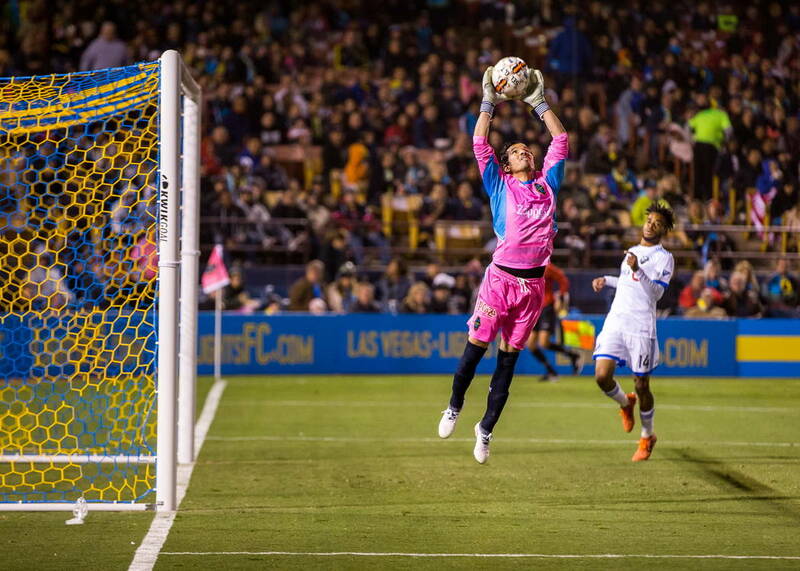 The team needs to make sure its goalkeepers’ antics aren’t its only on-field highlights, but its turnout still should offer plenty of hope heading into its inaugural season.